Last year around this time, I found out I had won a yearlong mentorship with the wonderful children’s author Jane Kelley. (The competition was run by SCBWI-WI, for which I will be eternally grateful.) For an entire year, Jane would help me revise my middle grade novel. But no matter how lucky I felt this time last year, I had no idea how lucky I actually was. Over the past year, Jane has read everything I’ve sent her way–including several versions of one novel, one version of another, and several attempts at a query letter and synopsis. She has given me thoughtful, insightful, and incredibly useful feedback on all of it. Jane pointed out the things I was making my main character do over and over without realizing it–things like second-guessing, thinking about thinking, and imagining semi-violent reactions just a bit too often. Above all, Jane treated my story like it mattered. She cared about my characters. She read deeply to see what I was doing and what I was trying to do. She did this for a year. For nothing. Well, okay. I baked her some cookies. But that’s not all. 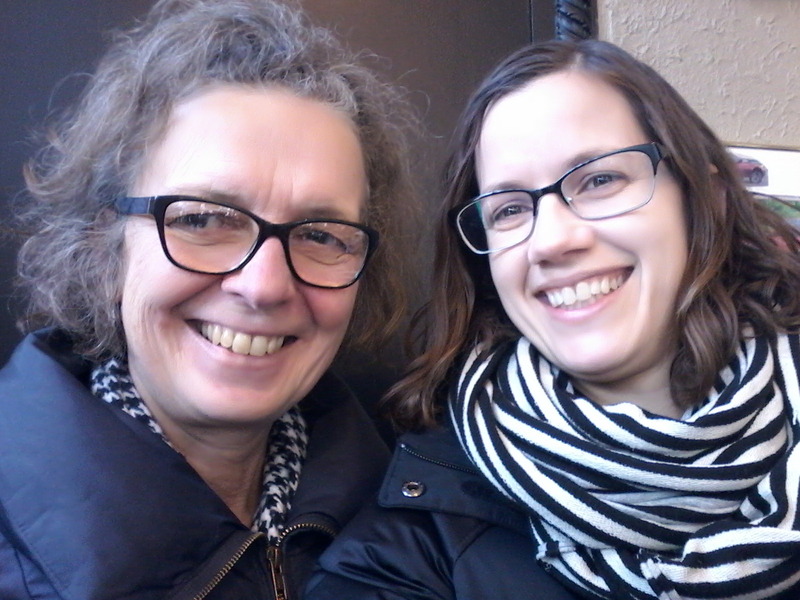 Every month, Jane dedicated time for us to meet in person to talk to about books, publishing, the writing life, and anything else that came up. She was generous with stories of her own career, and helped me think about the future of mine. When you’re unpublished and struggling to complete a novel you’ve spent years on, these are incredibly precious gifts. Even better than cookies. Now, I’m in the middle of a second round of submissions. Thanks to Jane, it’s going a lot better than the first time. Thanks to Jane, I have ten times more confidence–and hope–than I had this time last year. Thanks to Jane…you know what? I’m not going to include a third thing. I’d rather leave it at that. Recently, I had the pleasure of combining the two by writing about the CCBC for SCBWI-WI’s blog. Please do check it out–and if you’re not familiar with either organization, check them out, too. A heart made out of book pages to you both, CCBC and SCBWI-WI! About ten years ago, I went to western Ireland. I stayed on the Dingle Peninsula, which is the westernmost point of the country and one of the most beautiful places on Earth. Really, it’s impossible to describe the amount of beauty crammed into this small peninsula on the Atlantic Ocean. It’s best to just see it. …and a lot more that I won’t share, since I might not be able to stop. Since that visit almost ten years ago, I haven’t gone long without thinking of western Ireland. But just a few years ago, I started thinking I should write about it. So, of course, I started to read about it. In the background of that last photo—it’s so faint you could miss it if you don’t look closely—is one of the Blasket Islands. They’re uninhabited now, but for a long time they were home to a small Irish peasant community. This month I have an article in MUSE magazine, which is an excellent arts & science magazine for middle-graders from Cricket Media. I’ve done several other articles for the magazine, but this one was special because I got to write about one of my favorite places in my home town–the Madison Children’s Museum. The article is about how playgrounds and children’s museums are designed so kids with disabilities and sensory-processing disorders can join in the fun. The MCM has an excellent program called “Sensory Friendly Hours” that I was so happy to learn and write about.